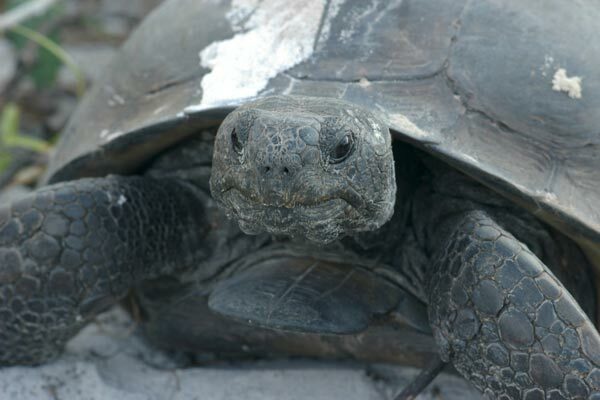 Three years earlier I had taken photos of a gopher tortoise that were on my only roll of film ever to be lost in the mail. 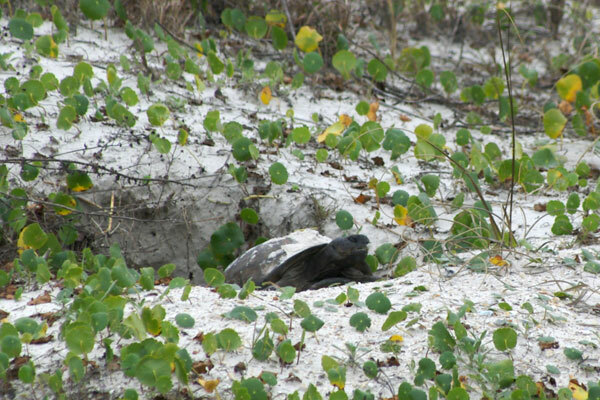 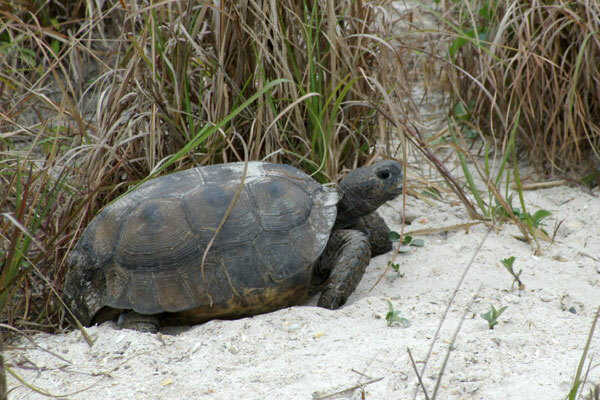 Thank goodness for Smyrna Dunes and its large preserved coastal dunes habitat, rife with gopher tortoise mounds, gopher tortoise burrows, and, yes, gopher tortoises. 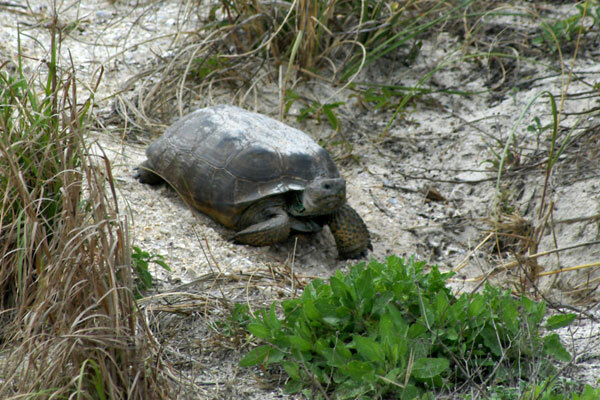 In the late afternoon, Oscar Scherer State Park was hopping with gopher tortoises chowing down on the local flora. 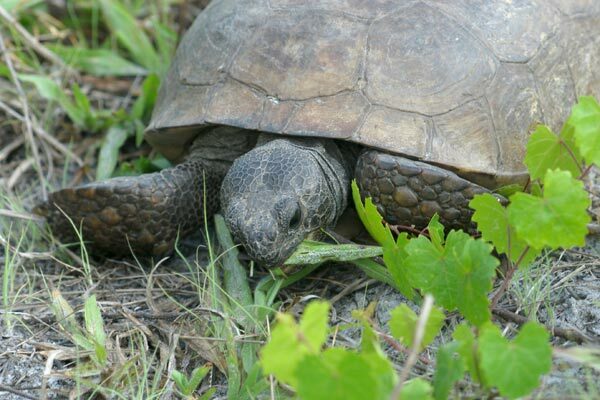 So much grass, so little time. 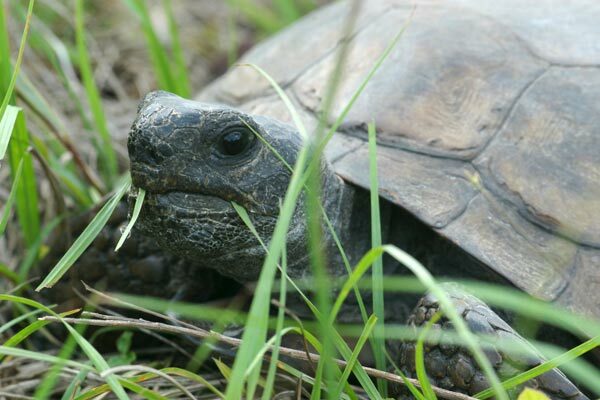 For tortoises, they were no slouches at eating. 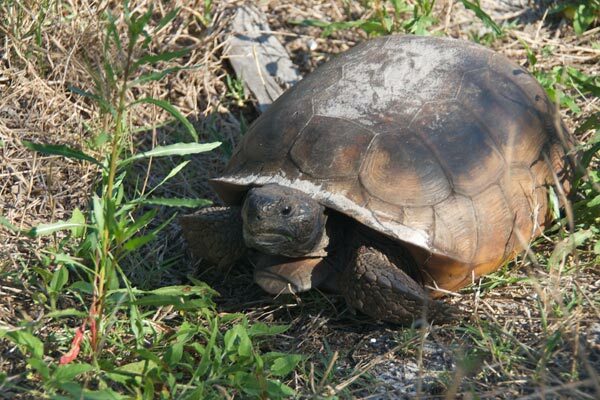 It seems like every gopher tortoise I come across is chomping on some vegetation and has loose sand on its shell.